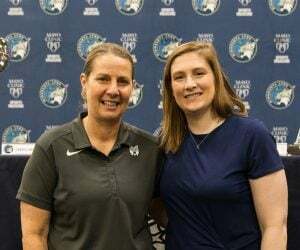 The Lynx were thrilled to see Notre Dame forward Jessica Shepard fall to them at No. 16. 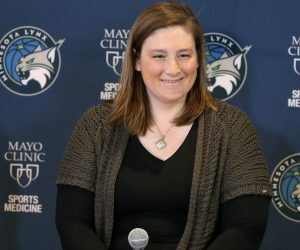 At a strong 6’4’’ Shepard could move into a backup role at the power forward spot immediately and with some hard work she could develop into a starting-caliber forward. Shepard’s calling card is her rebounding. She averaged 10.3 rebounds per game including an impressive 3.9 on the offensive end. Shepard is tough. She’s very hard to box out and she’s relentless in fighting for position. Once she gets rebounds, Shepard is immediately looking down the court for an outlet pass. 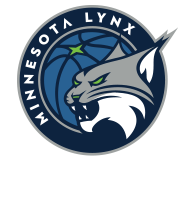 That will help the Lynx get out on the break faster—definitely something they’ll be looking to do more this season. With Rebekkah Brunson’s return uncertain, Shepard should be able to step into that hard-nosed rebounding void. Shepard didn’t take threes at Notre Dame, but she did during her sophomore season at Nebraska and there are encouraging signs about her ability to potentially develop her outside shot. She shot 59.4 percent from the floor overall in 2018-19, with most of those touches coming in the paint, but she also shot 71 percent from the line. That’s a good number for a college big. 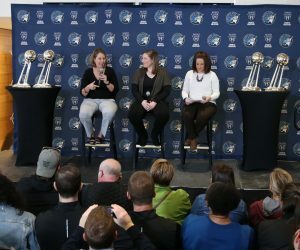 Coaches often look at free-throw percentage when they’re assessing shooting form so that solid number could be an indicator that Shepard may eventually be able to provide a little floor spacing for the Lynx. If so, it would be huge. The Lynx have been wanting a legit stretch four for a while and Shepard could grow into that role. Shepard’s strength is legendary around the Notre Dame campus. Before the start of this season she dropped 40 pounds from her frame and transformed herself into the strong, lean, agile player we see today. 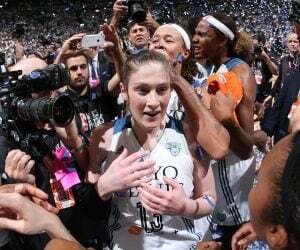 She credits some of that to a conversation with Lynx coach Cheryl Reeve who she met as a part of USA Basketball. Reeve told Shepard that one of the things that could help her go from good to great and succeed in the WNBA was to increase her athleticism and Shepard took that to heart. Shepard’s style of play is made possible by her physicality. She’s tough and she takes what she wants on the court. Shepard is also an extremely hard worker who will certainly force herself into the conversation for minutes this year. That doesn’t happen often for a No. 16 pick. Shepard had a 23.8 percent usage rate at Notre Dame, second on the team. On an absolutely loaded squad, that’s an accomplishment. Despite her high usage, though, Shepard remained efficient. Shepard is such a good offensive rebounder she’s able to create her own high-percentage looks. Shepard also starts possessions for her teams with her outlet passes. Having someone who can both rebound and initiate the offense is a massive positive. The two were rivals in college playing on UConn and Notre Dame, but now they’re teammates again. Having a friend as training camp kicks off will be great for both players.